Is Cheese Healthy And What Is The Healthiest Type? The countless varieties of cheese out there prove that this dairy delight is a universally-loved food. In addition to being great for your taste buds, cheese is generally also good for your health. Cheese is a good source of vegetarian protein and eating it is great for upping your daily calcium and potassium intake. But have you ever wondered how your favorite wine-pairing snack stacks up in terms of nutrition compared to other cheese varieties? 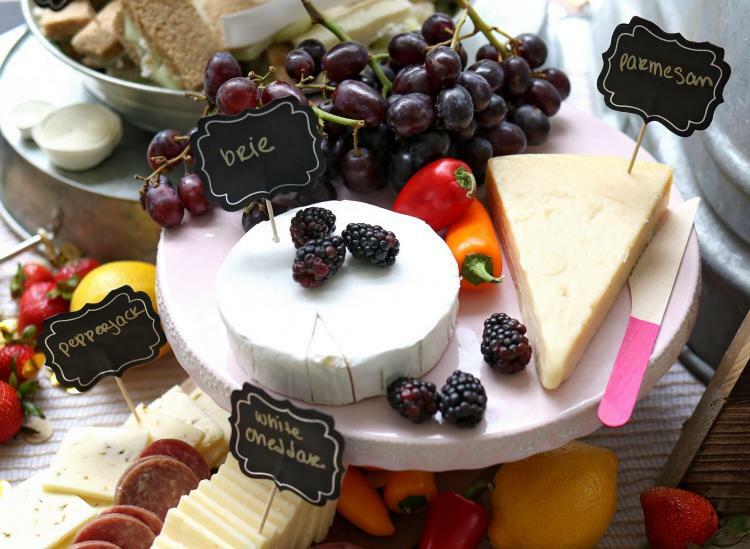 Here’s a look at how seven popular cheese varieties compare from a health perspective. When shopping for mozzarella at the grocery store, you’ll notice that it comes in many varieties, including fresh, shredded and part skim. 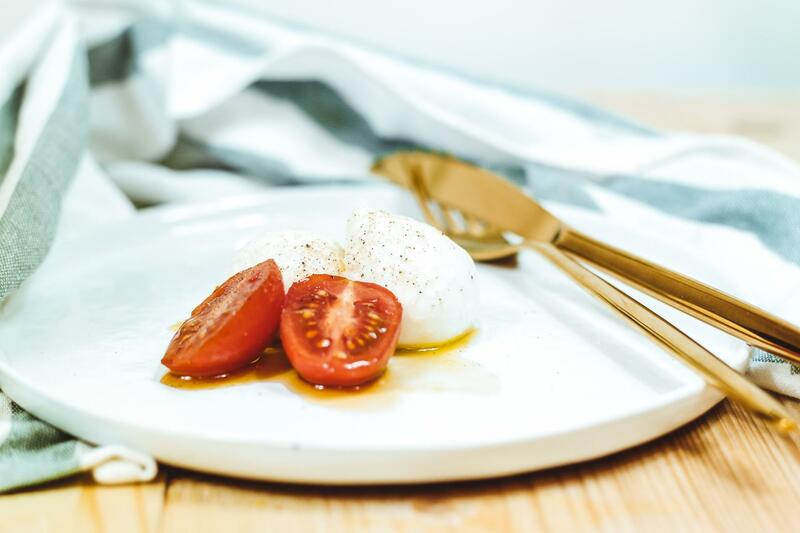 A 1.5-ounce serving of part-skim mozzarella contains 333 milligrams of calcium, according to the National Institutes of Health, which is 33 percent of the recommended daily value of calcium for adults. (It’s no wonder that mozzarella is considered one of the best cheeses to eat if you’re looking to up your calcium intake.) Mozzarella is also a great choice if you’re looking for a lower-calorie cheese — a 1-ounce serving of mozzarella (both part-skim and regular) has between 70 and 80 calories. It’s important to note, though, that both part-skim and mozzarella made with whole milk pack a relatively big punch of fat per serving, both saturated and unsaturated. Sixty-seven percent of the calories in a one-ounce serving of whole milk mozzarella come from fat, whereas part-skim mozzarella gets between 30 and 45 percent of its calories from fat. So keep portions in check when eating this cheese variety in order to avoid fat overload. 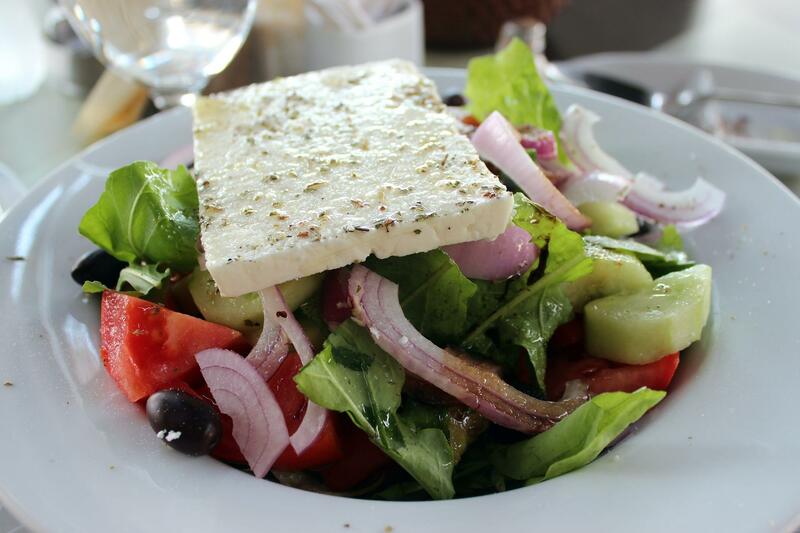 Good news for feta lovers: Your Greek salad obsession might be helping you up your intake of essential vitamins and minerals. Just a 1-ounce serving of full-fat feta cheese provides 14 percent of your recommended daily intake of vitamin B2, 14 percent of your calcium, 9 percent of your phosphorus, 8 percent of your vitamin B12 and more. Relative to aged cheeses like cheddar and parmesan, feta is lower in fat and calories, too. A 1-ounce serving of full-fat feta has only 74 calories compared to the 110+ calories that parmesan and cheddar yield for the same serving size. One drawback of feta is that it’s naturally high in sodium because salt is added to the curd during processing. Additionally, feta is traditionally submerged in brine, a watery substance that’s saturated with salt. A 1-ounce serving of feta packs 316 milligrams of sodium, which is about 13 percent of your daily value. So if you’re looking to reduce your sodium intake, keep your feta portions in check. Ahhh, Brie… whether we’re eating you with crackers, freshly baked from the oven or surrounded by puff pastry, we simply can’t get enough of you. Unfortunately, the deliciousness of this soft cheese comes with a higher calorie count. 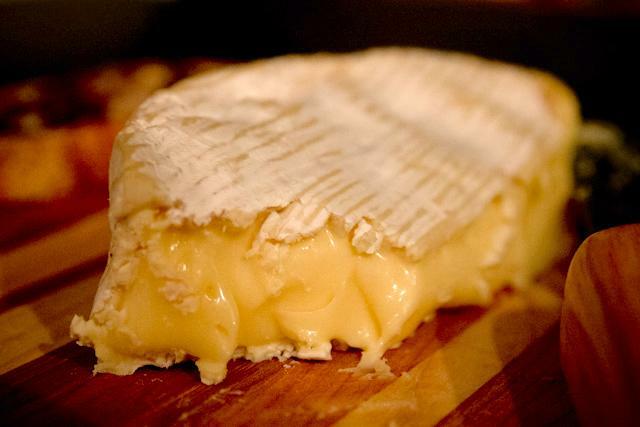 A 1-ounce serving of brie cheese yields approximately 95 calories. And given the addictive quality of this cheese, it’s hard to imagine that anyone would ever eat just a 1-ounce serving of it, which is roughly equivalent to two tablespoons. What’s more, a 1-ounce serving of brie contains 8 grams of fat, five of which come from saturated fats. To keep your heart healthy, the American Heart Association recommends that you limit your saturated fat intake to no more than 6 percent of your daily caloric intake each day. If you’re eating an average of 2,000 calories a day, that allows you roughly 13 grams of saturated fat. 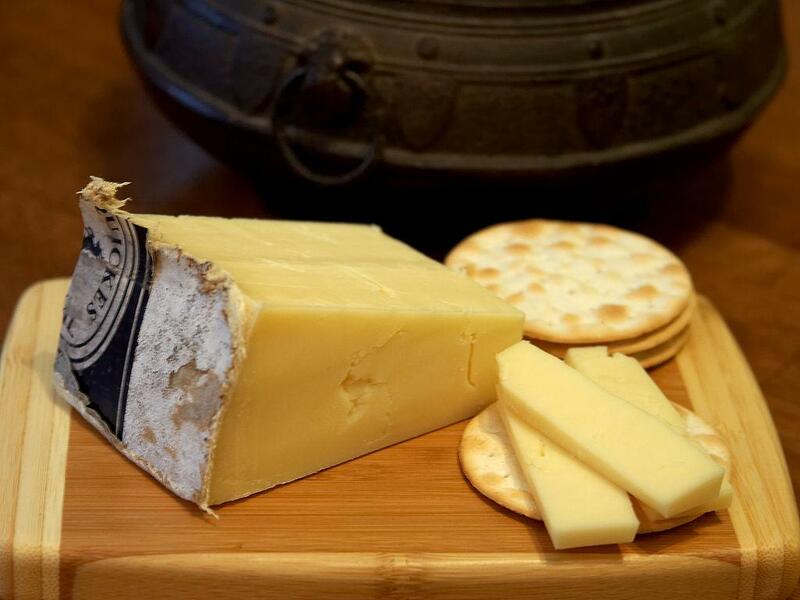 But you should still enjoy brie in moderation, knowing that it’s also packed with essential nutrients like vitamin K2, vitamin A, vitamin B12, phosphorus and, of course, calcium. This hard Italian cheese is our go-to for wine pairing. We also love sprinkling it on our most indulgent pasta dishes. Sadly, parmesan also falls into the higher-calorie cheese category. A 1-ounce serving provides 119 calories. Like brie and mozzarella, it’s also higher in fat. 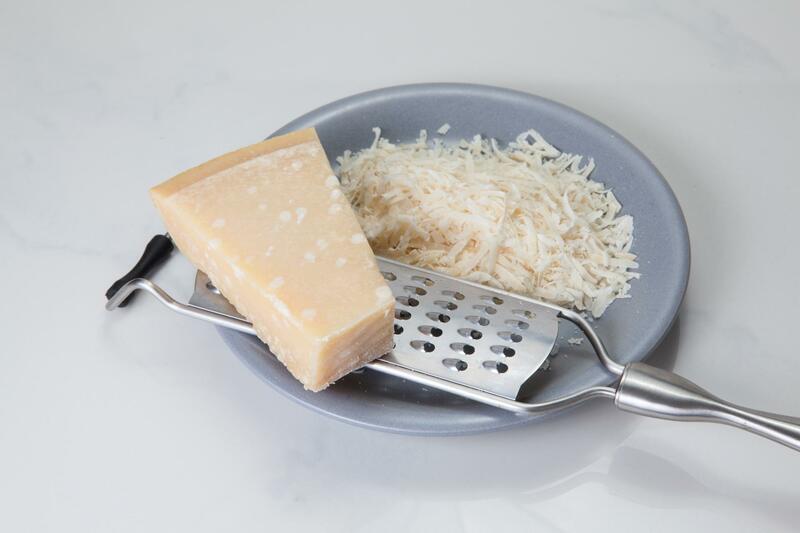 Parmesan packs 7.9 grams of fat in a 1-ounce serving, 4.4 grams of which are saturated. But parmesan cheese is also a great source of protein. A 1-ounce serving has 8.1 grams of protein, more than double the 4 grams found in feta. This cheese does have a higher sodium content, though. A 1-ounce serving contains roughly 428 milligrams of the mineral. Eating one or two cubes of parmesan per day won’t harm your health, but getting too much sodium in your diet could lead to high blood pressure over time. Cheddar is one of the most popular cheese varieties in the United States. It’s a bright orange or pale yellow, medium-hard cheese made from cow’s milk. We love to eat it with just about everything — apples, crackers, in ham sandwiches, you name it. A typical 1-ounce slice of cheddar cheese yields 113 calories, 9 grams of fat (six of which are saturated), 174 milligrams of sodium and 7 grams of protein. Like parmesan and brie, cheddar cheese is also slightly higher in calories compared to cheese varieties like feta and mozzarella, but it’s also high in protein and naturally lower in sodium than other cheese types on this list. Consuming higher protein foods has two distinct benefits. 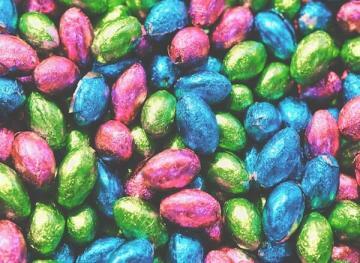 Consuming more protein is proven to increase your feeling of fullness and reduce food cravings. Also, if you’re looking to lose weight, increasing your protein intake can help you preserve your muscle mass during your weight loss journey. This cheese is famous for its unique holy texture — and because it was Jerry’s favorite cheese in “Tom and Jerry“. But you might not know that “Swiss cheese” is actually a generic name for several related cheese varieties. These cheese varieties are the American version of Switzerland’s classic Emmental cheese. 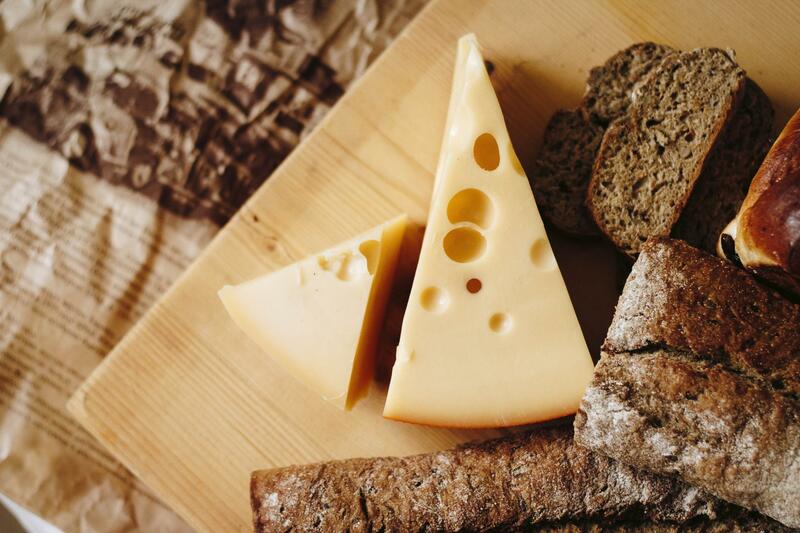 Swiss cheese is known for its savory (yet not too sharp) flavor. Typically, a 1-ounce slice of Swiss cheese contains 106 calories, 8 grams of fat (five of which are saturated), 54 milligrams of sodium and 8 grams of protein. While it’s not the cheese with the lowest amount of calories and fat, we like that it contains significantly less sodium than other cheeses. This medium-hard cheese variety is also one of the ones with the most calcium per serving. A 1-ounce slice of Swiss cheese typically contains 221 milligrams of calcium, which is about 22 percent of your recommended daily value. 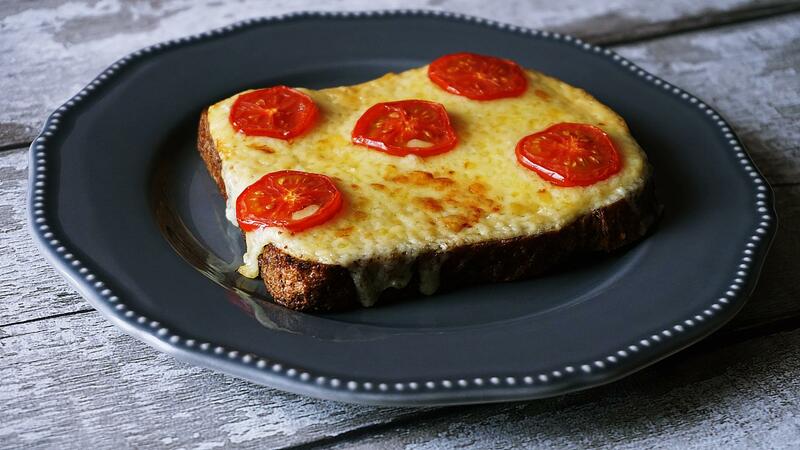 We love eating this cheese melted on hoagies, pizzas and paninis. Provolone tends to be creamy and smooth with a slightly tangy flavor. A 1-ounce slice of provolone cheese typically has 98 calories, 7 grams of fat (4.8 grams of which is saturated), 245 milligrams of sodium and 7 grams of protein. Provolone is slightly lower in calories and fat compared to Swiss cheese, but it has more than four times the amount of sodium compared to the latter. So if you’re someone who tends to consume an abundance of salty snacks throughout the day, we recommend that you opt for Swiss cheese instead of provolone the next time you make yourself a ham and cheese sandwich.